You want to send beautiful happy new month of March 2019 messages to friends and loved ones, right? Don’t sweat it. Why? because I got you covered. Always have and always will. 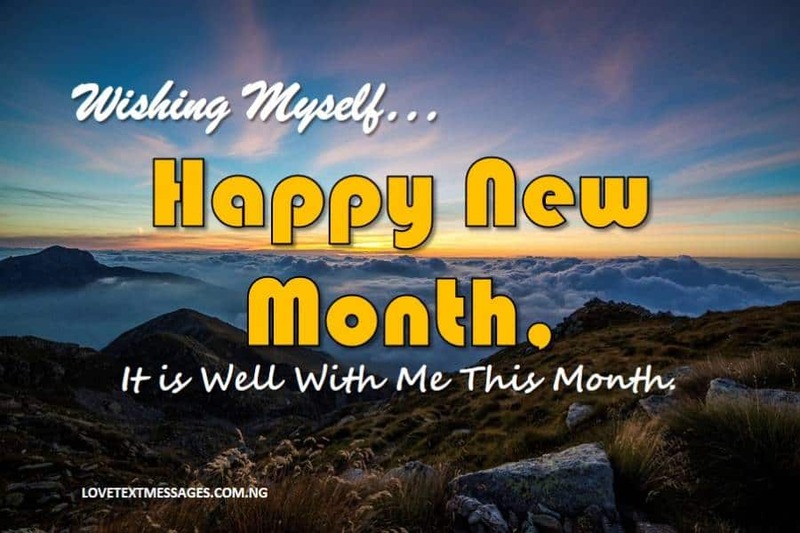 Here are lovely Happy New Month of March Messages for Lovers, Friends, Family Members and not excluding the ones for Yourself. 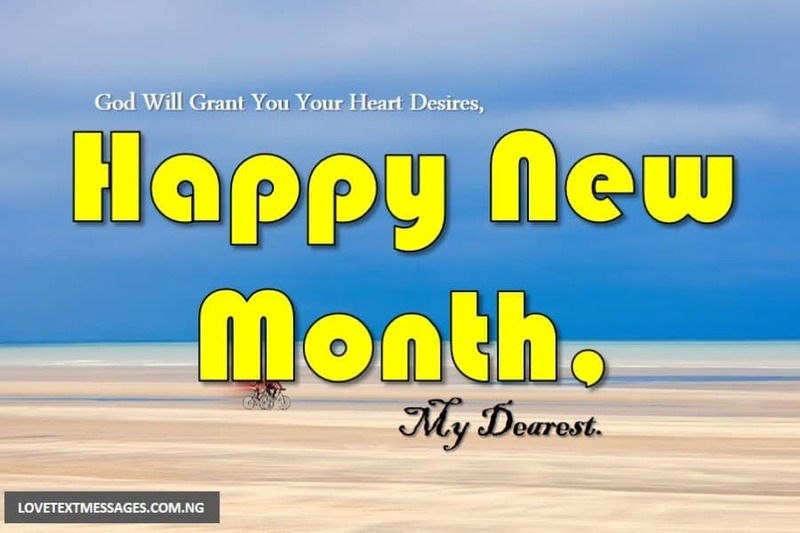 Happy New Month Messages and Wishes to send to your Boyfriend, Girlfriend, Husband or Wife for March 2019. 1. In this new month, you will have every reason to appreciate the name of the Lord. Happy New Month, my dearest. 2. This new month, you will succeed beyond imagination and God will grant you your heart desires. Happy New Month, beautiful. 3. Where others are complaining, you will be celebrating, and where others have failed, you will excel. Happy New Month, handsome. 4. Wishing you a beautiful month filled with beautiful things. Happy New Month, sunshine. 5. In this new month, you will be too blessed to be stressed. Happy New Month to you, my prince charming. 6. 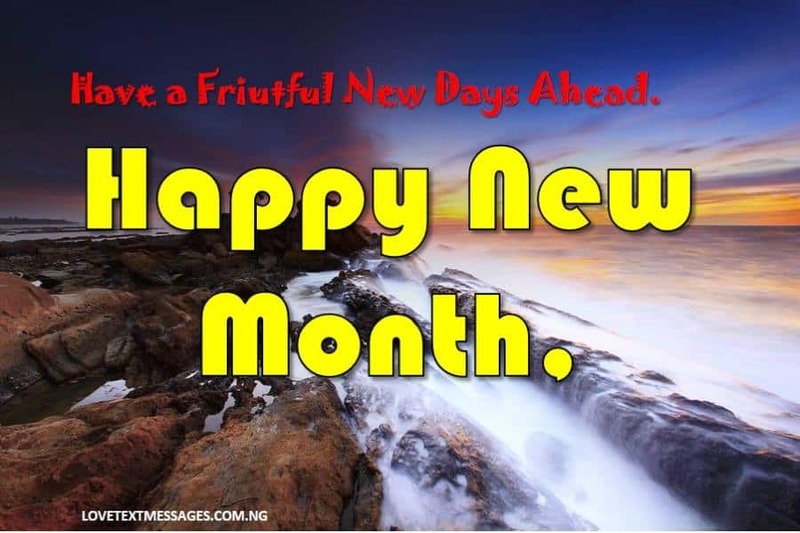 You shall march from glory to glory in this new month and may all your wishes come true. Happy New Month, damsel. 7. May God restore all your lost possessions and give you peace of mind and body. Happy New Month, my dearest. 8. Even in the midst of a recession, you will always and forever have a reason to rejoice and be glad. Happy New Month, cuppy cake. 9. Good health of mind and body, prosperity, joy and happiness. These and much more are my wishes for you today and beyond. Happy New Month! 10. Unmerited favour shall be yours in this new month. Do have a glorious month ahead of you. Happy New Month, beautiful. 11. May this new month be an amazing and beautiful one for you, and may it bring all your good heart desires. Happy New Month, my prince charming. 12. It’s my prayer that you will always stay happy today and throughout the month. Happy New Month, sweetie pie. 13. You will always stand tall in the face of trial and tribulation in this new and beautiful month. Happy New Month to you, my dearest. 14. May your heart be filled with motivation, courage and inspiration to convert your dreams into reality. Happy New Month, damsel. 15. Forget what’s behind you and focus on what is ahead of you, because what’s coming will be better than what’s gone. Happy New Month, handsome. 16. May you today and always have the capabilities to achieve your goals and aspirations in this new month. Happy New Month, my one and only. 17. My prince charming, I wish you a joyous and glorious month ahead of you. May each day bring you joy unspeakable. Happy New Month! 18. I wish you a month filled with love and laughter, joy and happiness. Happy New Month to you, beautiful. 19. As you step into the month of March, I pray that God will bless you beyond measure. Happy New Month, my dearest. 20. May this month be filled with awesome and beautiful accomplishments for you. Happy New Month! 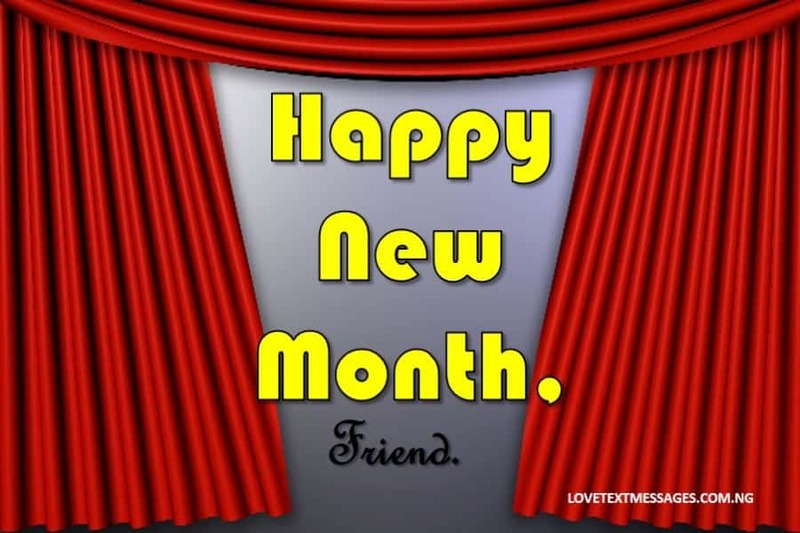 Happy New Month Messages and Wishes to send to your Best of friends for March 2019. 1. Today is another chance to get more out of life. May your every day be full of happiness, joy and love. Happy New Month to you, my dearest friend. 2. Cheers to a month full of laughter, kindness and beautiful things. Happy New Month, my sweet friend. 3. I wish every second of every minute of every day in this beautiful new month counts for something great for you. Happy New Month! 4. This new month will be your month of open doors and divine favour. Happy New Month, my lovely friend. 5. May you enter this new month with new goals, fresh ideas, and motivation. Happy New Month to you, buddy. 6. It’s my prayer that this new month will be better than the previous ones. Happy New Month, my dearest friend. 7. I wish you have an amazing and incredible month ahead of you. Happy New Month to you, my best friend. 8. May this new month consist of minutes of joy, hours of happiness, days of favour and love. Happy New Month, my adorable friend. 9. In this new month, may you accomplish greater and beautiful things than the previous ones. Happy New Month to you, my sweet friend. 10. May the glory of God shine on you today and throughout this new month. Happy New Month to you, my beautiful friend. 11. I wish this new month brings more joy, love and happiness to your heart, life and world. Happy New Month, my dearest friend. 12. May your today be better than yesterday and may your tomorrow be brighter than today. 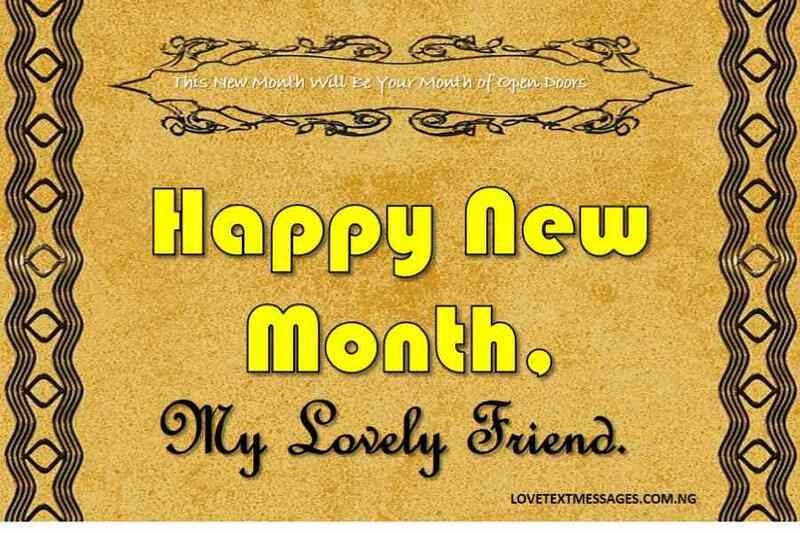 Happy New Month to you, my lovely friend. 13. So much success, happiness and kindness await you in this new month. Happy New Month, buddy. 14. Happy New Month to the best friend ever – you. I wish you have a month full of laughter and love. 15. I cherish you and your friendship so much and I wish you have the best month ever. Happy New Month to you, my beautiful friend. 16. God’s protection, goodness, mercy and favour will not depart from you today and beyond. Happy New Month, my lovely friend. 17. Today, I wish you a month as beautiful and special as you are. Happy New Month to you, buddy. 18. May this beautiful new month bring you great tidings today and always. Happy New Month, my dearest friend. 19. I pray for you today like every other day, that will God satisfy you with every good thing of life. Happy New Month to you, my best friend. 20. I’m crystal clear that it’s going to be a month filled with awesome accomplishments. Happy New Month! 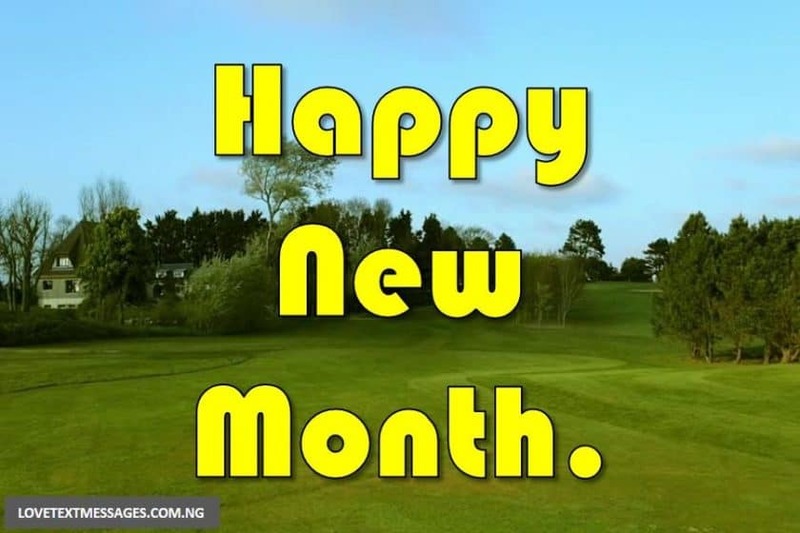 Happy New Month Messages and Wishes to send to your Brother, Sister, Son, Daughter, Mom or Dad for March 2019. 1. May God give you peace that surpasses all anxieties in this new month and beyond. Happy New Month to you, my sweet sister. 2. At the beginning of this beautiful month, I wish you all the good things in life today and throughout the month. Happy New Month, my dearest brother. 3. May this month be filled with sweet moments and beautiful memories. Happy New Month, my beautiful niece. 4. It’s my prayer that you have a wonderful month ahead of you. May it bring you lots of love and happiness. Happy New Month to you, nephew. 5. Forget the failures of the previous month and welcome the new month with a heart full of hope and motivation. Happy New Month, my sweet daughter. 6. New opportunities shall be open to you as you step into this beautiful new month. Happy New Month to you, my dearest son. 7. May each and every day of this new month bring you unlimited happiness and unending love. Happy New Month, my beautiful mum. 8. I pray that God will fulfil all your expectations in this new month, and so shall it be in Jesus name, Amen. Happy New Month to you, dad. 9. Arise and shine for all your dreams, goals and aspirations in this new month shall not be cut short. Happy New Month, my lovely aunt. 10. May you find favour before God and man today and all through the month. Happy New Month to you, uncle. 11. I wish you a month full of blessings, joy and prosperity. Happy New Month, my lovely sister. I cherish you forever. 12. The month of open doors, divine intervention and prosperity are here, step into it and excel beyond measure. Happy New Month! 13. Be ready to gather all your lost treasure as God will be restoring them to you in many folds. Happy New Month to you, my sweet niece. 14. From dawn to dusk, you will always and forever have reasons to smile and be glad. Happy New Month, my dearest nephew. 15. May God give you the insight to fulfil His plans and purpose concerning your life. Happy New Month to you, my beautiful daughter. 16. I pray for you that this new month will be as cheerful as lark, and as graceful as a swan. Happy New Month, my charming son. 17. May God grant you the grace to enjoy this new month to the fullest, and may all your wishes come true. 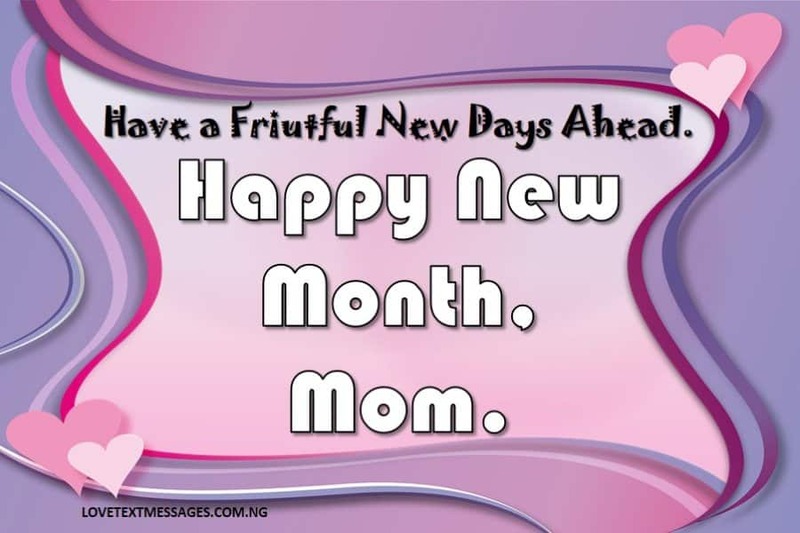 Happy New Month, mum. 18. You shall flourish and prosper today and throughout the month and beyond. Happy New Month to you, dad. 19. God’s plan concerning your life will never be cut short. You will have everything to be grateful for in this new month. Happy New Month, my beautiful cousin. 20. Cousin, I wish you have a fabulous day ahead of you and may this new month be filled with happiness. Happy New Month! Happy New Month Messages and Wishes to use for yourself on Facebook, Twitter,Instagram or as status on WhatsApp. for March 2019. 1. A month with new ideas, new experiences and new opportunities await me. Happy New Month to a new me. 2. May I find true joy, kindness and happiness in this beautiful new month. Happy New Month to me. 3. 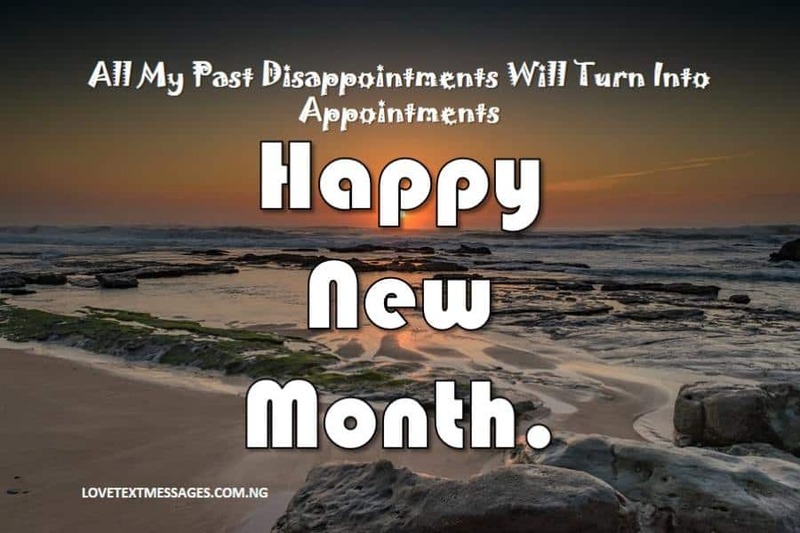 All my past disappointments will turn into appointments for me this new month. Happy New Month to me, myself and I. 4. I pray that God will give me new motivation and insight because it is never too late to have new ideas or set new goals. Happy New Month! 5. This new month will be filled with wonderful and amazing things for me. Happy New Month to me, myself and I. 6. I’m open to new opportunities and ideas, and I refuse to be weighed down by my past failures and shortcomings. Happy New Month to a new me. 7. God will visit me in every aspect of life in this new month and always. Happy New Month! 8. I’m crystal clear that this month will definitely be awesome because God got me. Happy New Month to me, myself and I. 9. My today will be bright, my tomorrow will be brighter and my future is blessed. Happy New Month to a new me. 10. I wish this month brings me prosperity and serenity, joy and happiness. Happy New Month! 11. My God is an awesome God and He will make everything better for me in this new month. Happy New Month to me, myself and I. 12. No matter what my past has been, I can always begin anew, with God on my side. Happy New Month to a new me. 13. I pray that God will surprise me in this new month and give me happiness and joy. Happy New Month! 14. 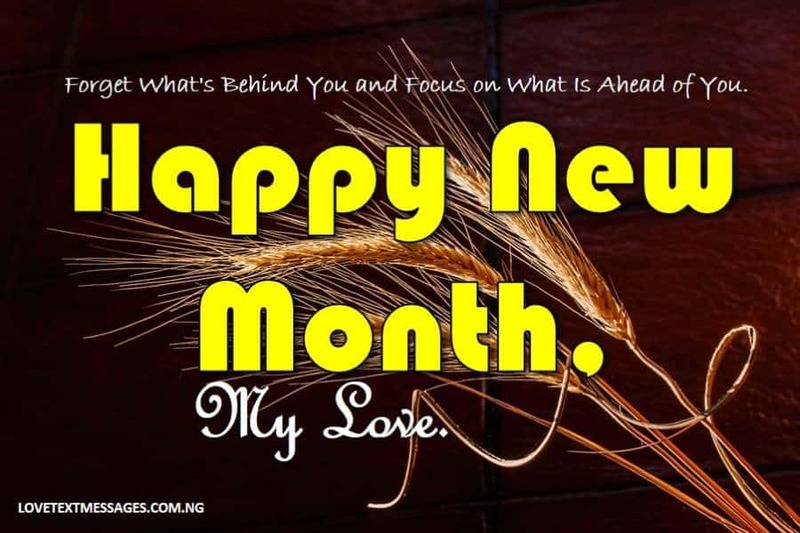 Unending love, unlimited blessings and unspeakable joy, these and much more are my wishes this month and always. Happy New Month to me. 15. May God equip me with everything that I need to fulfil my dreams and goals today and always. Happy New Month to me, myself and I. 16. A glorious, joyous and gracious month will this new month be for me. Happy New Month to a new me. 17. The grace to trust in God and believe in myself always are my wishes today and beyond. Happy New Month! 18. Just like the palm tree, I will flourish in all my endeavours today and throughout the new month. Happy New Month to me. 19. Happy New Month to me, myself and I. It’s definitely going to be a month filled with love and great accomplishments for me. 20. It’s my prayer that this month will be better than the previous ones, and may it bring all my heart desires. Happy New Month!